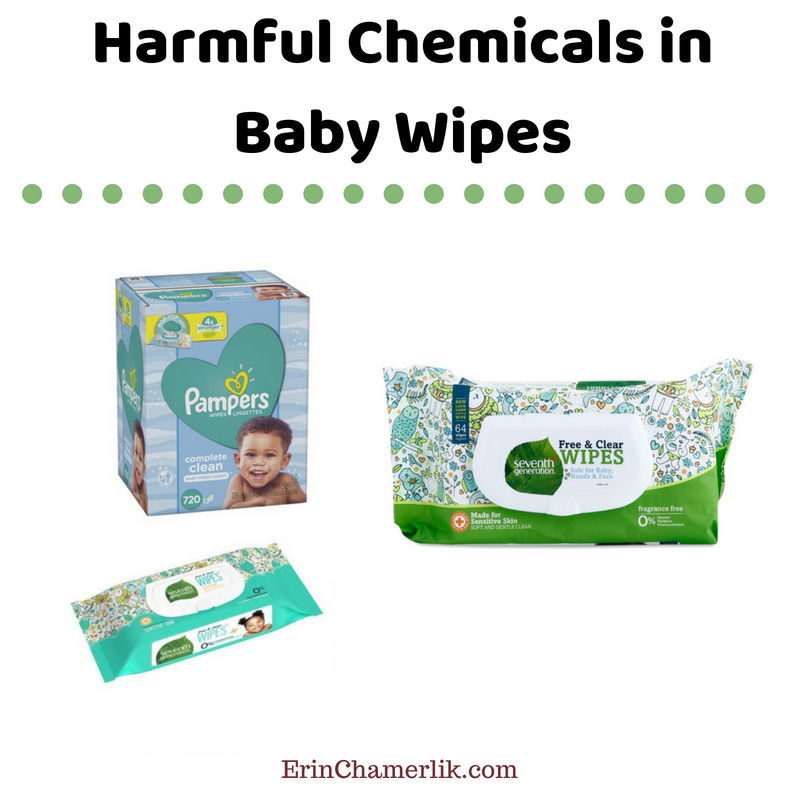 Baby Wipes – The Chemicals! Your Natural Wipes May be Harmful. It is a crime that certain manufacturers use formaldehyde releasers and worse. I read “most manufacturers use harsh petrochemical raw materials. To make them less irritating to skin, a process known as ethoxylation is used in which ethylene oxide is added. It is known that 1,4-dioxane gets created during the ethoxylation process. Unless a manufacturer uses a vacuum-stripping method to get rid of 1,4-dioxane, the dangerous chemical will remain in the baby wipes (it is a carcinogen). Regular application of baby wipes containing those chemicals may increase the risk of cancer for babies down the road. 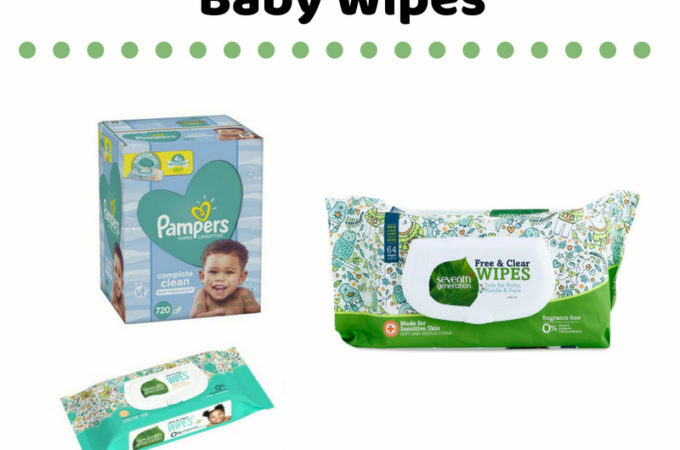 Kirkland Brand – get a million wipes for $20! BUT look at the chemicals! ***Phenoxyethanol*** a chemical preservative with a black box warning: . to severe, life-threatening allergic reactions. Infant oral exposure to phenoxyethanol can acutely affect nervous system function. The FDA warned that phenoxyethanol can cause shut down of the central nervous system, vomiting and contact dermatitis. (It is being used instead of parabens, but is equally evil). Earth’s Best, Burt’s Bees Wipes have Phenoxyethanol and other harsh chemicals. Huggies Natural Care has PEG-4 PG-Amodimethicone and preservatives. PEG’s (polyethylene glycol) are petroleum-based compounds. PEG-40, Sodium Citrate, Sorbitan Caprylate, Sodium Benzoate, Disodium EDTA, Bis-PEG/PPG-16/PPG-16/16 Dimethicone, Fragrance (a chemical soup of possibly hundreds of chemicals). Parents – you are the gatekeepers to your home and only you can keep harmful chemicals out of your baby’s products. The Seedlings line is a natural choice. A REAL natural choice – not just marketing words slapped on a package, like we see with so many brands like Earth’s Best, Burt’s Bees, Huggies and Pampers. Read the ingredients, and research the ones that sound like chemicals. A simple google search will be eye opening. Ultra-soft and comfortable. The soothing formula leaves skin moisturized, soft, and smooth while providing gentle and thorough cleansing without drying your infant’s delicate skin. 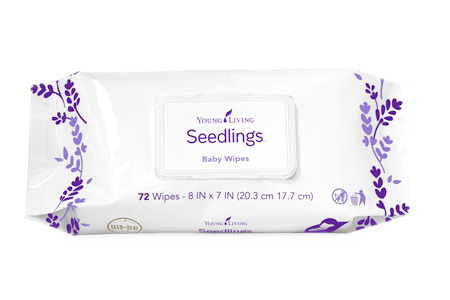 These gentle baby wipes can be used on any part of your infant’s skin. Soft, thick, and versatile, these wipes can handle a diaper change or a lunchtime cleanup. Vegan friendly, this mild and gentle formula contains cleansing botanicals and 100% pure essential oils and is specially formulated to minimize the risk of common allergic reactions. 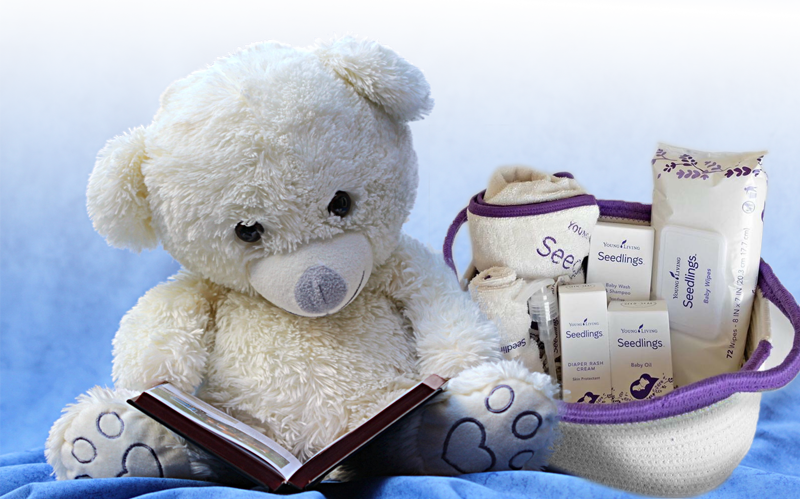 Get all the Seedlings goodies, including the basket + baby products for your little one. 6pk $60.25 (to get this wholesale price, first get a membership and you’ll get 24% off everything for baby and the rest of the family). Option 1: Get the harsh and harmful chemicals out with the Thieves Premium Starter Kit (or choose from the essential oil kit, makeup kit or NingXia Red Kit). You will get a dozen products for your home and personal use. Then add on the Seedlings products and you will enjoy wholesale pricing. Option 2: Only want the baby wipes? Set up a Retail Customer account and get what you want at retail price!